Sarah Bernhardt [born Henriette-Rosine Bernard; October 22, 1844—March 21, 1923] was a French stage and early film actress whose career spanned over 60 years. During the late 19th and early 20th centuries, she dominated the world of acting with lead parts in acclaimed plays and motion pictures. She is widely regarded as one of the greatest actresses of all time and one of the first actresses to garner worldwide fame. Sarah Bernhardt was born Henriette-Rosine Bernard on October 22, 1844 in Paris. She was the daughter of Julie Bernard, a Dutch courtesan who catered to a wealthy clientele. Her father has never been identified. At age seven, she was sent to a boarding school where she performed on stage for the first time, playing the role of the Queen of the Fairies in Clothilde. Around the same time, Bernhardt's mother started dating the Duke de Morny, the half-brother of Napoleon III. Affluent and highly influential in Paris society, he would play a key role in the development of Bernhardt's acting career. Although Bernhardt was more interested in becoming a nun than an actress, her family decided she should give acting a try. Together with their friend, playwright Alexandre Dumas, they brought Bernhardt to the Comédie-Française, France’s national theater company, for her first theater performance. Moved to tears by the play, Bernhardt was comforted by Dumas, who called her “my little star." The Duke told her she was destined to act. In 1860, with the help of Morny’s influence, Bernhardt was given the chance to audition at the prestigious Paris Conservatory. Coached by Dumas, she recited the fable of The Two Pigeons by La Fontaine and managed to persuade the school’s jury. On August 31, 1862, after two years of acting studies at the conservatory, Bernhardt made her debut in Racine’s Iphigénie at the Comédie-Francaise. Playing the title role, she suffered from stage fright and rushed through her lines. Despite the nervous debut, she continued to perform and played Henrietta in Moliére’s Les Femmes Savantes and the title role in Scribe’s Valérie. She didn’t manage to impress the critics and after a slapping incident with another actress, Bernhardt was asked to leave the theater. In 1864, after a brief affair with a Belgian prince, Bernhardt gave birth to her only child, Maurice. In order to support herself and her son, she accepted minor roles at the melodrama theater Port-Saint-Martin and was eventually hired by the director of the Théâtre de l'Ódéon. There, she would spend the next 6 years establishing herself and developing a reputation as a leading actress. In 1868, Bernhardt had her breakthrough performance as Anna Damby in Dumas’ Kean. She received a standing ovation and was instantly given a salary raise. Her next successful performance was in François Coppée’s Le Passant, in which she played the part of the troubadour boy—the first of her many male roles. During the subsequent decades, Bernhardt’s career flourished. Upon returning to the Comédie-Française in 1872, she starred in some of the most demanding roles of the time, including lead parts in Voltaire´s Zaire and Racine’s Phédre, as well as Junie in Britannicus, also by Racine. In 1880, Bernhardt accepted an offer to tour the United States, which would be the first of many international stage tours of her career. After two years of touring, Bernhardt returned to Paris and purchased the Théâtre de la Renaissance, where she operated as artistic director and lead actress until 1899. At the turn of the century, Bernhardt became one of the first actresses to star in motion pictures. After starring in the two-minute film Le Duel d’Hamlet, she went on to act in La Tosca in 1908 and La Dame aux Camelias. However, it was her portrayal of Elizabeth I in the 1912 silent film The Loves of Queen Elizabeth that truly made her rise to international acclaim. In 1899, Bernhardt signed a lease with the city of Paris to renovate and manage the Théâtre des Nations. She renamed it Théâtre Sarah Bernhardt and opened the theater with a revival of La Tosca, followed by her other major successes: Phédre, Theodora, La Dame aux Camélias, and Gismonda. Throughout the early 1900s, Bernhardt made a number of farewell tours around the globe, including Canada, Brazil, Russia, and Ireland. In 1915, years after a knee accident, Bernhardt suffered from an infection related to the injury and her leg was ultimately amputated. Refusing an artificial leg, Bernhardt continued to act on stage, with scenes being specifically arranged to suit her needs. In 1921, Bernhardt made her final tour around France. The following year, on the night of the dress rehearsal for the play Un Sujet de Roman, Bernhardt collapsed and went into a coma. She spent months recovering and her health slowly improved, but on March 21, 1923, while suffering from kidney failure, Bernhardt collapsed again and passed away in her son’s arms. She was 78. Théâtre Sarah Bernhardt was managed by her son Maurice until his death in 1928. It was later renamed Théâtre de la Ville. In 1960, Bernhardt was given a star on the Hollywood Walk of Fame. Bernhardt's vibrant and dramatic performances in so many iconic roles captivated audiences and critics all over the world. Her successful transition from stage to screen further established Bernhardt as one of the most celebrated actresses in theater and film history. Key Accomplishments: Bernhardt was one of the most successful actresses of the late 19th and early 20th centuries. She toured the world, successfully transitioned from stage to screen and back again, and managed her own theater (Théâtre Sarah Bernhardt). Verneuil, Louis. 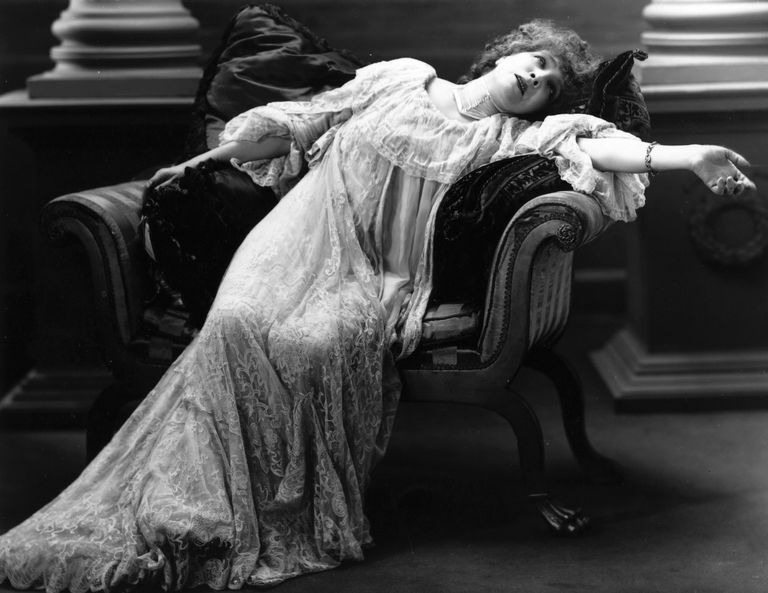 The Fabulous Life of Sarah Bernhardt. London, Harper & brothers; Fourth Edition, 1942. Gold, Arthur and Fizdale, Robert. Divine Sarah: A Life of Sarah Bernhardt. Knopf; First edition, 1991. Skinner, Cornelia Otis. Madame Sarah. Houghton-Mifflin, 1967. Tierchant, Hélène. Madame Quand même. Editions Télémaque, 2009.